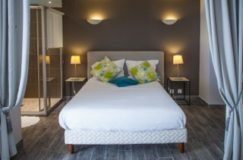 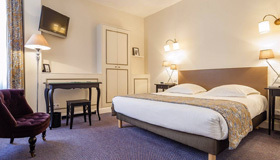 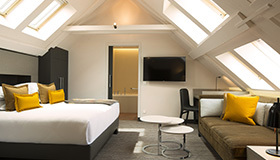 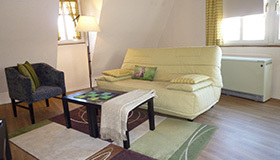 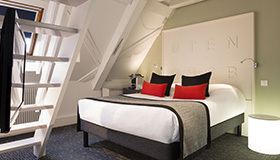 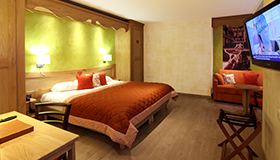 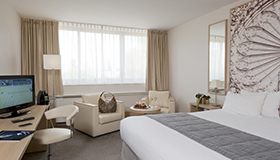 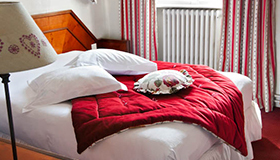 The Hôtel D, from its setting in a quiet, peaceful residential area, welcomes you to downtown Strasbourg. 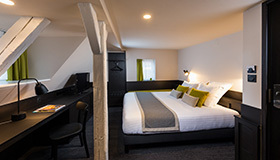 Our four-star establishment has a modern look and feel and will ensure warm, friendly hospitality for your romantic stay in Strasbourg. 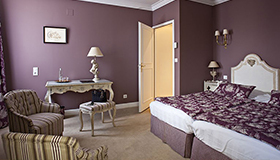 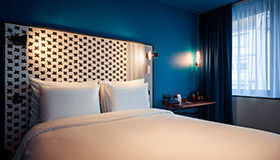 In the heart of the city center, the Hotel du Dragon is showing its best side. 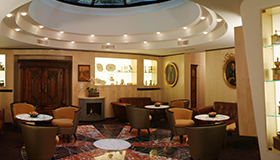 A warm and professional welcome, high quality amenities and an ingenious interior design merge perfectly in this 17th century building. 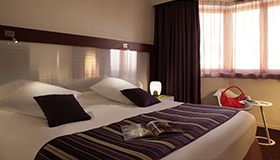 The 4* Hotel Gutenberg is located in the historic city center of Strasbourg, which is a World Heritage Site. 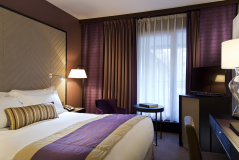 Immerse yourself in a trendy atmosphere and discover the charm of ‘Strasbourg mon amour’ !